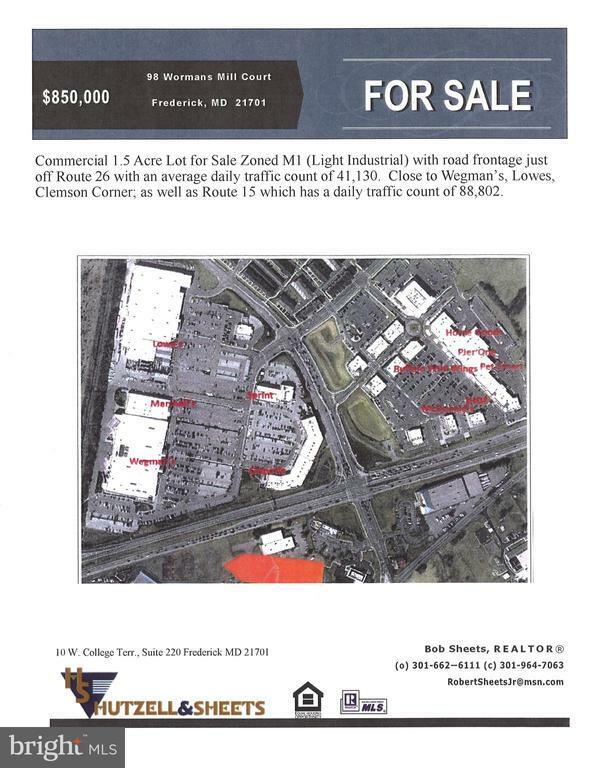 PRIME commercial lot in the City of Frederick M1 (Light Industrial) zoning with a huge variety of uses (Buyer to verify use with City of Frederick). Lot fronts Rt. 26 with high visibility and traffic count. Access is off of Wormans Mill Ct. Great opportunity for the investor or end user!! Directions: Rt. 26 to south bound on N. Market St, to Worman's Mill, to property on left.